"There are different types of images: acoustic, kinesthetic." 8 p.m. Sat., Apr. 26. Dancemakers have always sought to take the art form in new directions. 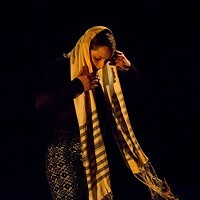 Developing new techniques and styles, pushing the boundaries of what is considered dance ... and even, in recent decades, beginning to view dance as "creative science." Choreographer Elizabeth Streb, for instance, has worked with engineers at MIT to find new ways of testing the human body's physical limitations, while choreographer William Forsythe has worked with scientists and architects at Ohio State University to develop a form of "physical thinking." Another artist looking to science and technology to inform dance is British choreographer Wayne McGregor. Since 2004, his work with cognitive scientists and neuroscientists has shaped the way he and the dancers in his London-based company, Random Dance, think and move. Random Dance returns to the Byham Theater on Sat., April 26, to conclude the Pittsburgh Dance Council season with McGregor's celebrated 2010 work Far. Recognized as one of the elite choreographers working today, McGregor has created works for the U.K.'s The Royal Ballet (where he's resident choreographer), New York City Ballet, Paris Opera Ballet and many others. He has received numerous awards, including several of Great Britain's Critics' Circle National Dance Awards. In 2011, McGregor was awarded a CBE (Commander of the Order of the British Empire) for Services to Dance. He also provided choreography for the movie Harry Potter and The Goblet of Fire, the 2012 London Olympics Festival and Radiohead's Grammy-nominated "Lotus Flower" video. Before he became a dance-world superstar, McGregor says, in the early 1990s, he spent some time in Pittsburgh as a college-student intern, at the Benedum Center and with Dance Alloy. It's an experience he says he loved and utilized after founding Random Dance, in 1992. The globe-trotting troupe made its Pittsburgh debut in 2006, in a Dance Council program that featured AtaXia, its first work stemming from research with Cambridge University neuroscientists. "When we think about images, we tend to only think about visual images," says McGregor, via Skype from Zurich, Switzerland, where he was creating a new work for Ballet Zurich. "There are different types of images: acoustic, kinesthetic. So if I were to say to you, ‘You can listen to the words when I am speaking or the hiss in my voice,' those are two very different things to attend to, and they give you different types of information. What we concentrate on when we are making choreography is how we can do things differently. That is what the neuroscientists have been helping us with." The company has used as a tool in its creative process a form of artificial intelligence, called "Becoming," based on research by McGregor and the scientists: A large, in-studio computer monitor shows a ghostly dancer that moves independently. The dancers in the studio can react to it as if it were another dancer. "Becoming" and other cognitive-research tools are helping McGregor to realize the "random" in Random Dance, by suggesting how the dancers can disrupt the ways they typically think and move. McGregor says that this approach generates new forms of creative thinking across a variety of artistic and scientific disciplines. For Far, set to a forceful original score by Australian composer Ben Frost, McGregor dug into his decades of curiosity about the mind and body. He took inspiration from the age of the Enlightenment and 18th-century French philosopher Diderot's very first set of encyclopedias, representing humanity's first concerted exploration of the inner workings of the human body. The hour-long contemporary dance work for 10 dancers is awash in McGregor's rapid, aggressive movement aesthetic, which he says was stimulated by anatomical images found in Diderot's encyclopedia. Watching online clips of Far and other works by McGregor, it might seem unclear how his choreography and his dancers' movement style differ markedly from those in top-flight contemporary works created without the direct influence of scientific study. But there are hints in how the dancers' bodies, as McGregor says, "slightly misbehave." 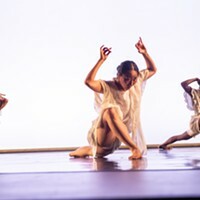 In one instant, a pair of dancers can be engaged in fluid contemporary ballet technique; an instant later, they begin flailing their heads and arms in a random pattern, as if in the throes of some poetic seizure. In any case, his works, like those of all great choreographers, are damned impressive. "Our central tenet [for Far] involved putting the body in question from a physical and emotional point of view ─ exploring the technology of the body and pushing it to its physical limits," says McGregor. Another trademark of McGregor's recent works is their stunning visual elements. In Far, the dancing is complemented by a computerized pin-board of 3,200 LED lights. McGregor views all aspects of his works, including lighting and sound, as elements of his choreography. As he says, "I make as many decisions about lights as I do about what the body is doing."